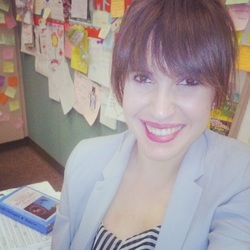 _My name is Virginia Parra and I have been teaching for four years at San Gabriel High School. I received by Bachelor's degree from Occidental College in 2010 and graduated from UCLA's Teacher Education Program in 2012. I am a first generation student who is passionate about literature, writing, and social justice issues. Fun fact: I studied abroad in Madrid, Spain and lived there for five months.